Whether it is solo guitar, duo or the trio, Nick is able to play both jazz and classical music at the same event. Generally for a wedding ceremony, classical guitar is a great choice for prelude music, setting the ambiance as the guests are arriving and for the ceremony pieces. Afterward, relaxing jazz strikes the right tone for the cocktail hour or reception so the music evolves along with your day. For corporate events, jazz paints a relaxed atmosphere as the guests arrive and mingle. During dinner, classical works beautifully for a change in style and texture while the conversation is more subdued. Swinging back to jazz and some pop during dessert and afterwards tops off a wonderful evening! We specialize in a great sound, played on the finest instruments, at the right volume, focused on your event! 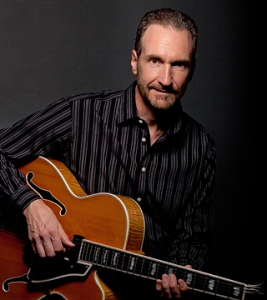 Nick DiGennaro has enjoyed performing as a jazz and classical guitarist professionally for over thirty years. He graduated from Arcadia University in Philadelphia with a Bachelor of Arts degree in Music Performance. Though specializing in solo guitar and small ensembles, his performing experience includes playing mandolin in Don Giovanni, and classical guitar in The Merry Widow and Otello with the Dallas Opera and Feste Romane with the Dallas Wind Symphony. He has played guitar with the Ft. Worth Pops Orchestra and the Richardson Symphony and has given two solo concerts sponsored by the Dallas Classical Guitar Society. He has backed such noted artists as Roger Williams, Vic Damone, David Brenner, Diahanne Carroll and Bo Didley. 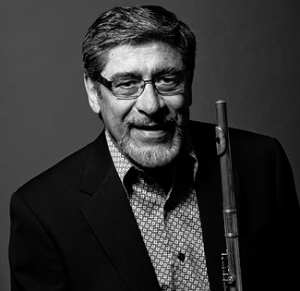 Fernando “Vicho” Vicenzio has assimilated a wide variety of musical styles through years of performing experience. Born in Vina del Mar, Chile, his career has taken him around the world. In South America and Europe he performed on saxes and flute with studio orchestras, show groups and dance bands for most of the 60’s and 70’s. 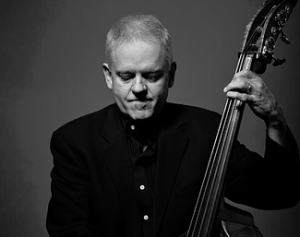 A great admirer of American jazz and pop music, Vicho was happy to accept an extended touring engagement with Chuck Israels’ Big Band based in new York City. It led to his permanent move to the USA and Dallas. Vicho Vicenzio has been actively involved in the Metroplex music scene since 1980.